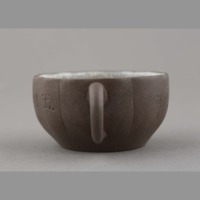 One Yixing ceramic cup with a large ring-shaped handle and a wide fluted rim tapering gradually to a narrower base. 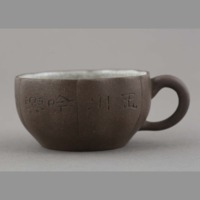 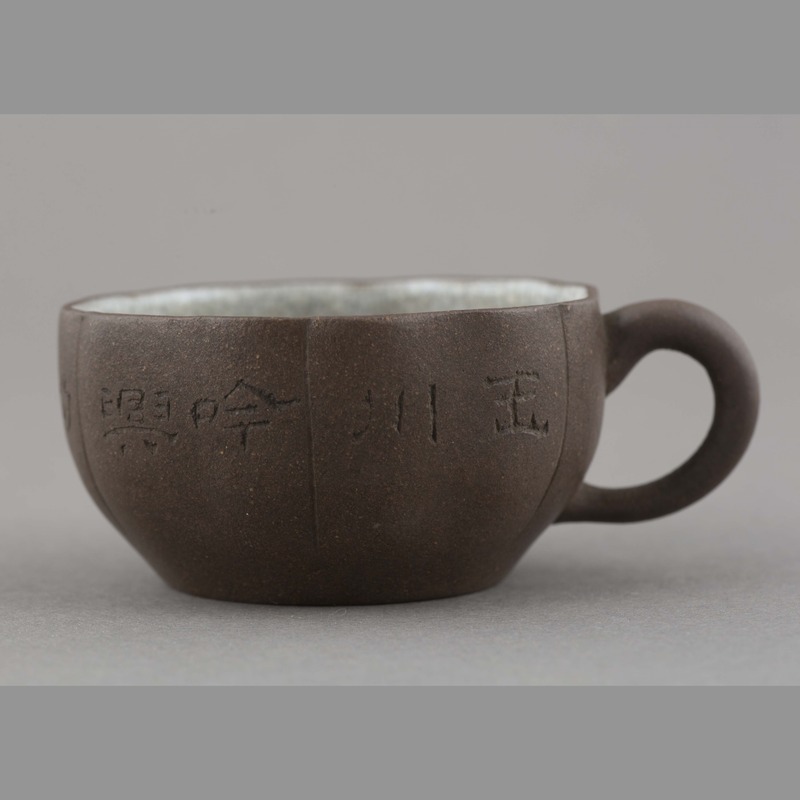 Cup exterior is chocolate brown and presents incised inscription: 玉川吟興 陽羨德x主人付刻. 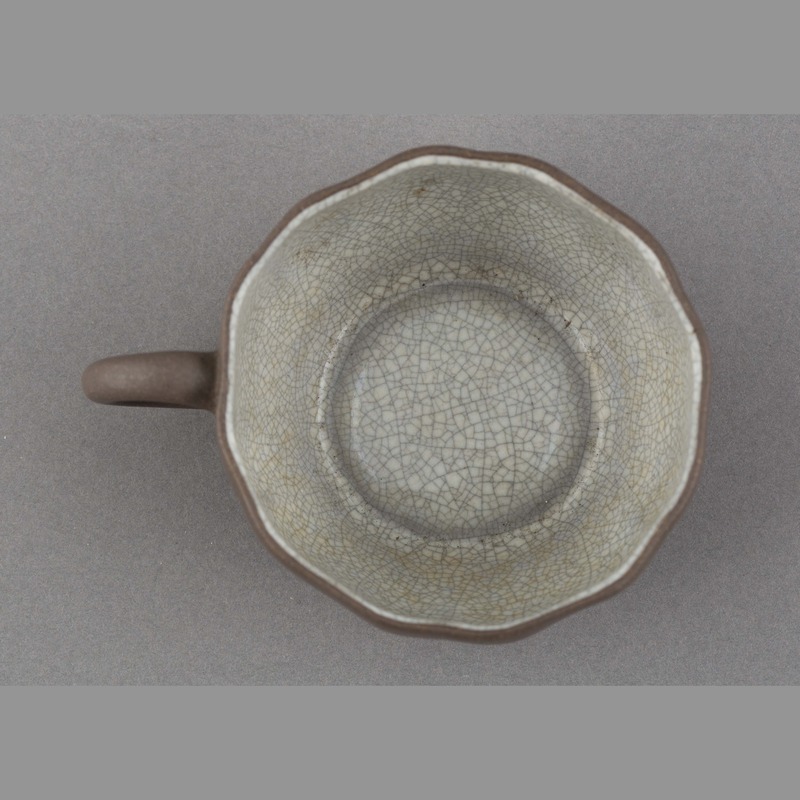 Cup interior is glazed blue-white with a prominent crackle effect. 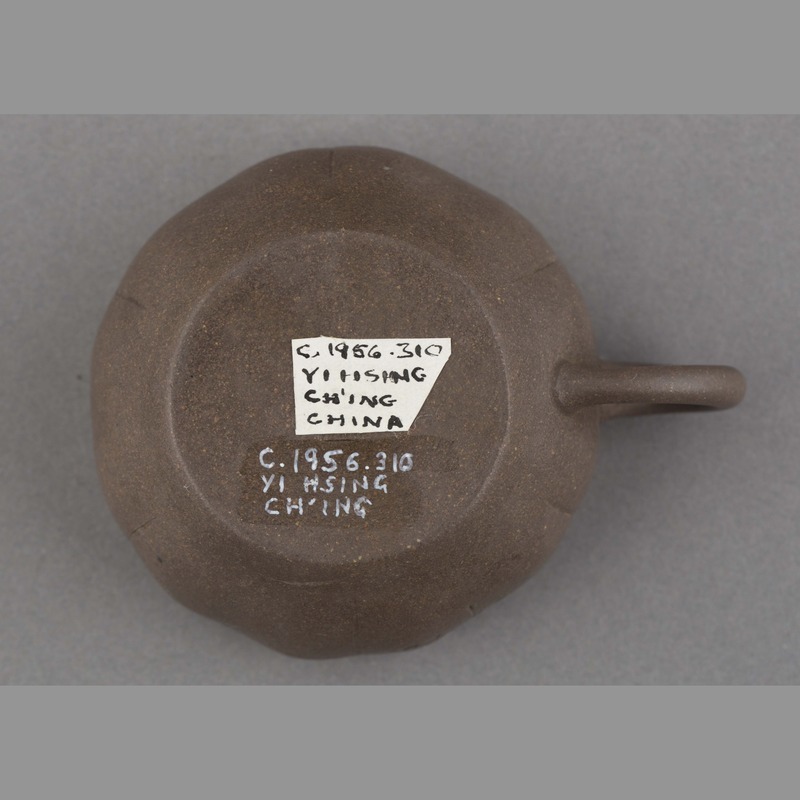 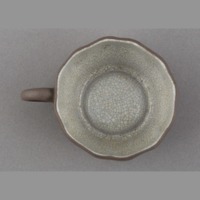 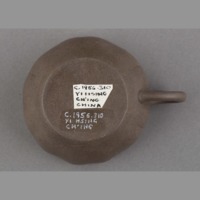 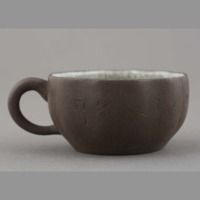 “Ceramic: cup,” China, Art and Cultural Diplomacy, accessed April 22, 2019, http://rewialleyart.nz/items/show/1144.